Fabulous remix by Susso, A.K.A. Huw Bennett, of the title track off of Spanish adventurers Forastero's late 2016 debut album. Bennett turns the brooding original into a slow grooving burner that will blow the parasol right out of your pina colada. UK bassist and producer Huw Bennett is the man behind Susso, a collaborative project between Bennett and several Gambian griot families that resulted in the wonderful "Keira" album on Soundway. 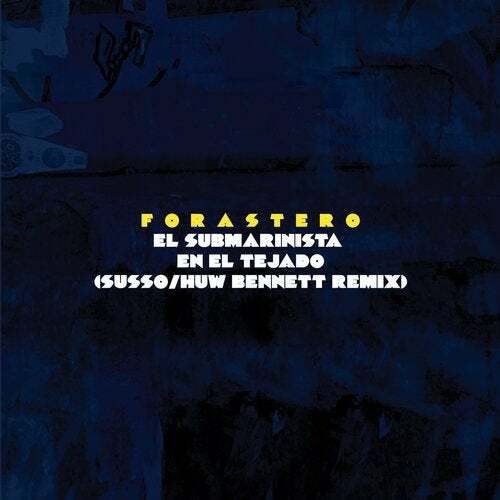 Made up by a group of players from Madrid's jazz, Afrobeat and black music scene, Forastero have been experimenting with fuzzed up and leftfield beats and pieces in many of the capital's renowned live music 'salas' over the years. A six-piece, the group plays baritone sax, keys, synths, double bass, guitar, theremin and drums, and have no interest in playing fiddle to Madrid's conservative jazz audiences. In fact, it's the environment of a somewhat static new jazz scene in Madrid that has given the impetus for Forastero's creation and 'outsider' attitude. Literally their name, 'Forastero', means 'stranger' or 'foreigner'.